Italy is a country famous for its rich culture, beautiful landscapes, and above all – delicious food. You could spend an eternity savoring over its homemade pasta, locally-sourced vegetables, and fresh bread and pizza. What makes Italian food so incredible is its careful preparation and quality ingredients. One such ingredient essential to Italian cooking is balsamic vinegar. Balsamic vinegar derives from Modena, a small town situated in the northern Italian region of Emilia Romagna. In the land of Pavarotti and Ferrari cars, a particular type of vinegar has been produced to accentuate any meal. With its original name Aceto balsamico, traditional Italian vinegar was first reserved for the delicate palates of the elite Italian classes. Luckily for gourmands from the rest of the world, commercial production begun in the second half of 20th century. Aceto became recognized throughout the world as the perfect addition to salad dressings and marinades, as well as to other refined sauces, in which it would perfectly emphasize the aroma of many dishes. What are the Types of Balsamic Vinegar? There are three types of balsamic vinegar, but we’ve broken them down into two separate categories based on how they are made. First up, the traditional method. The two types of vinegar mentioned above are made the same way. Pressed grapes, otherwise known as grape must, is made from of the typical varieties from Modena – trebbiano, lambrusco. The must is cooked over direct heat until it is reduced to almost half of its volume. The concentrate is then left to naturally ferment for three weeks. After the fermentation process, it is placed in a wooden barrel to acidify for a lengthy period of time (minimally 12 years). The Traditional Balsamic Vinegar is prepared by the experienced hands of Modenese professionals in the sunny hills of Modena and wider Emilia Romagna region. The specific climate, temperature, and rainfall conditions of this area affect the maturation of the balsamic vinegar. The names of these two types of vinegar are protected and labelled by European`s Union PDO (Protected Designation of Origin), after passing strict quality tests. Since they are produced in a more complex and longer manner, these types of Aceto balsamico are more expensive. This type of vinegar is prepared in a somewhat simpler method than its ”granddad” and therefore, much less expensive. While it is also made in the Modena and Emilia Romagna regions using the same wine musk, unlike the Traditional Aceto, it can be mixed with wine vinegar and a small percentage of caramel. In addition, the minimum fermentation period of balsamic vinegar of Modena is only 60 days! This is the type of Aceto balsamico you’ll usually find in your grocery store. Just make sure it has aged in a barrel for at least 3-4 years and you won’t be left disappointed. Which balsamic vinegar should you buy? This will depend on how much you’re willing to spend. As we mentioned before, due to the strict regulations under which the Traditional Balsamic Vinegar is made, you will pay a little extra – the price varies from $40 to an incredible $400 for a 100ml bottle. But trust us, the quality is bar none. On a budget? The Balsamic Vinegar of Modena is the more affordable option: grab a bottle for for around $10 or less. How should you store your balsamic vinegar? When it comes to storage, no worries here! Due to its excessively long period of maturation, there is no risk of it spoiling. Keep it in sealed container in a dark place, and don’t expose it to sunlight or heat. No matter which type of balsamic vinegar you choose, you really can’t go wrong. The inexpensive options found in your local grocery store are still very tasty and healthy. 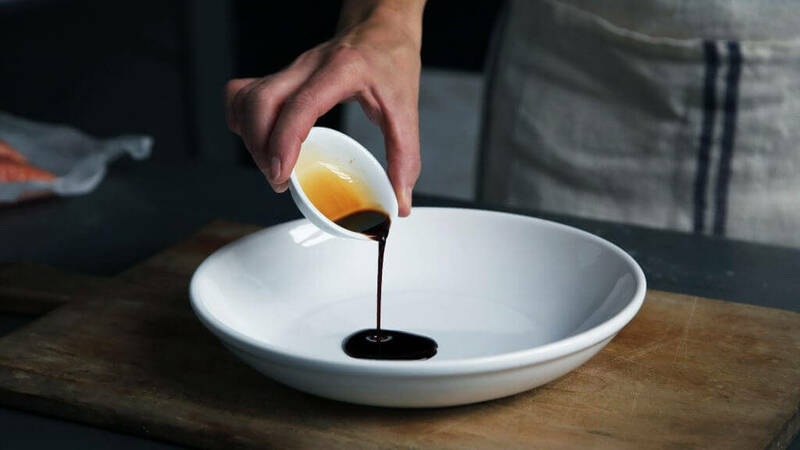 On the other hand, the traditional Aceto balsamico is something that everyone should try at least once and what we highly recommend for your home kitchen.